Laguna Lake Golf Course Home with Incredible Views! 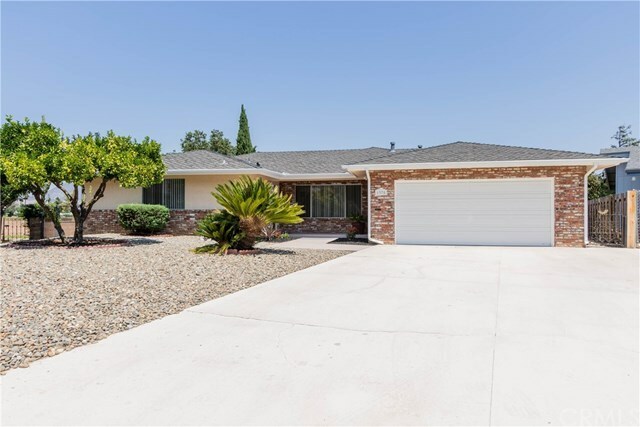 This single level, well cared for home backs up to the 6th hole of the Laguna Lake Golf Course and is nestled on a cul-de-sac in the Royal Heights community. Sweeping views of the Irish Hills can be admired from the front yard and living room area. Views from the backyard, bedroom, kitchen and family room frame the greenery of the golf course. The bedrooms are nicely sized and there's a half bath off of the indoor laundry room in additional to the other 2 full bathrooms. Not included in the square footage is an enclosed porch off the dining room that leads to the attached finished two car garage with freshly epoxied floor. The backyard has a lovely gazebo to relax and enjoy the golf course views, plus concrete and drought tolerant landscape. The side yards have ample space and even an avocado tree! You just can't beat this clean home with views that can't be matched!